Ardyn is a multi-talented artist with a rich imagination and a talent for story telling. Much of Ardyn's work is inspired by her garden and this influence can be found throughout her paintings and exquisitely painted boxes. Plant motifs, people and animal forms all interlock with a richness of detail and light, akin to a woven tapestry. 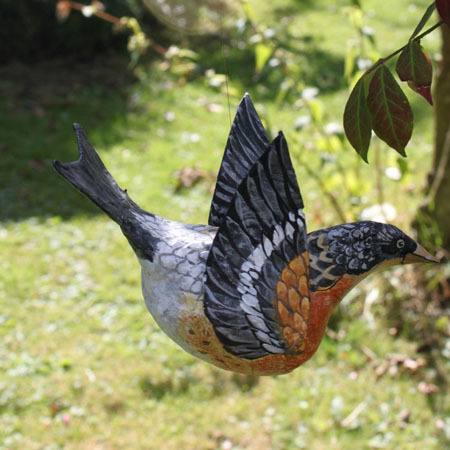 Her playful papier maché sculptures are enjoyed by adults and children alike with their humour and diverse, imaginative designs. Cats, birds, boats, sheep, knights, 'Russian dolls' and beautiful wall clocks are just some examples but are the tip of the 'proverbial iceberg'. Please browse through Ardyn's gallery to see the wealth of her creativity. Ardyn also works to commission. Please contact her directly to discuss ideas.